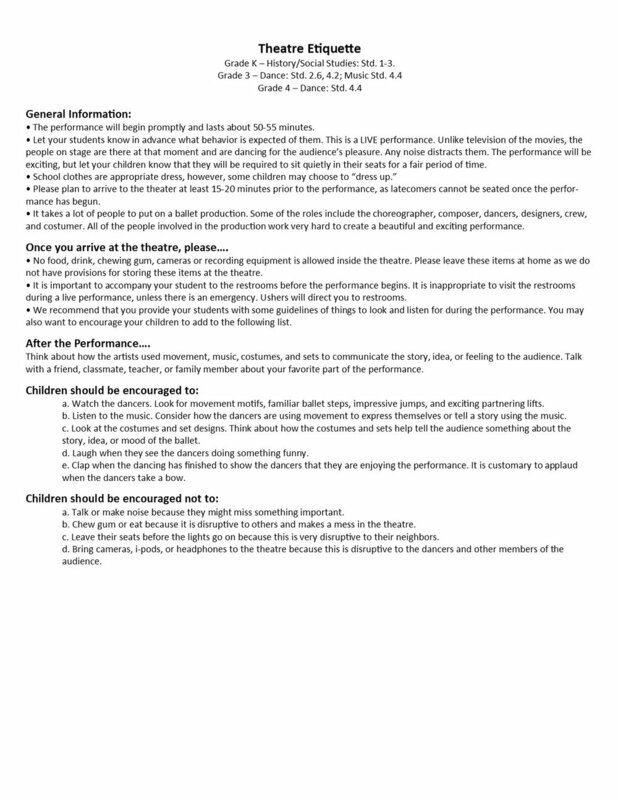 The following information is intended to help teachers prepare for and enjoy the performance, as well as provide ideas for after performance activities, if desired. The goal of the Mendocino Ballet's Educational Outreach Program is to present ballet to young people in a way that will have an enduring impact on their lives. With the decline of arts education in public schools, Mendocino Ballet’s Study Guide for Students and Teachers is a vital cultural resource in the visual, musical, and movement arts in Mendocino County. Mendocino Ballet promotes the unique power of the performing arts to nourish our communities by enriching the lives of our children. Mendocino Ballet's Educational Outreach Program is the most extensive of its kind in Mendocino County, bringing the beauty of ballet and classical music to thousands of children each year. Students from public, private, home schooled and special needs schools take field trips to Mendocino College to see traditional ballets such as Cinderella and The Sleeping Beauty as well as new classics like our original productions of La Boutique Fantasque, The Little Mermaid, The Wizard of Oz, and Alice in Wonderland. The annual Outreach Program typically includes 4 to 5 special morning performances of ballets chosen from Mendocino Ballet's repertoire that are especially suited to young audiences. The Educational Outreach performance may include a lecture/demonstration on ballet and stage technique, which shows how a dancer tells a story without words and a little Dance History. Students then view a live, professional ballet performance. This year, we will present the story of La Boutique Fantasque in its entirety, one that most children may not be familiar with, but will easily be able to follow. Enter the magical world of an enchanted toyshop and delight in the dancing dolls crafted by an amazing dollmaker in “The Fantastic Toyshop”. Get ready to enjoy an exciting morning of dance performed by members of the Mendocino Ballet under the direction of Artistic Director, Trudy McCreanor. “La Boutique Fantasque” (The Fantastic Toyshop) was first presented at the Alhambra Theatre in London on June 5, 1919 by the internationally famous Sergei Diaghilev’s Ballets Russes. The ballet was originally choreographed by Leonide Massine and arranged and orchestrated by Ottorino Respighi based on piano pieces by Gioachino Rossini. Massine's scenario centers on the love story between two Can-can dancer dolls in a toyshop, incorporating elements of comedy, national folk dance and mime, as well as classical choreography. The ballet is set in southern France in the 1860’s. A world-famous toymaker has created exquisite dancing dolls in her magic toyshop. Dolls perform various dance routines for the prospective customers. At first the toys entertain an English lady and her companion, then an American family. Lively dolls perform a Tarantella for the guests, followed by other dolls who dance a Mazurka. Then two dolls come in and perform another routine involving a Snob and a Melon Vendor followed by entertaining German Dolls. New customers arrive, a Russian family, and everyone welcomes them. Five Cossack dolls enter and perform a traditional Russian dance, followed by an animal act featuring two dancing Poodles. The English ladies are offended and leave. Then the shopkeeper introduces her most sophisticated dancing dolls, featuring a prized pair of Can-can dancers, who perform an exciting routine. Their dance is so enchanting and spirited that the American family decides to buy the male doll, while the Russian family buys the female doll. The deals are made and paid for, the dolls are placed in a box, and collection is arranged for the next day. Darkness descends as the shopkeeper goes home. During the night, the dolls magically come to life. The prized couple perform a wistful Pas de Deux as they do not want to be separated in the morning. Other dolls come in and join the dancing. They are upset that the two Can-can dancers are going to be split up, and a plot is hatched to hide them before the customers return in the morning. When the shop opens the next day and the customers come in to pick up their dolls, they and the Shopkeeper discover that the Can-can couple is no longer there. The customers, not knowing about the secret life of the dolls, blame the shop owner and attack her. In the ensuing fracas, the dolls come to the shopkeeper's rescue with the Can-can dolls attacking the customers with their high kicks. Driven out of the shop, the customers watch incredulously through the window as the happy dolls and the shopkeeper dance merrily inside with the re-united Can-can couple. Our focus is in presenting ballet to young people in a way that will have an enduring impact on their lives. Mendocino Ballet presents a high quality production that connects learning in the arts to movement and music. Our performances provide opportunities for students to learn about ballet and classical music, and to observe dance movement in ballet. Performers and the Artistic Director often use lecture and demonstration models to share dance techniques with students, while encouraging them to observe and listen for these components within the program. With Pre and Post Activities listed in this study guide, students have the opportunity to engage in many activities that give them a chance to be part of the story through writing and other activities. By watching the performance, students can witness and learn a sequence of movements from the production and then perform the sequence again with or without music. Students are introduced to classical and contemporary ballet movement, as well as classical music through Mendocino Ballet’s varied repertoire. La Boutique Fantasqe includes music by the well-known classical composer Ottorino Respighi based on piano pieces by Gioachino Rossini, that helps to tell the story. The performance introduces the student to different countries and cultures through the many different styles of doll dances. Students are encouraged to compare and contrast differences between their own cultural dance experiences and traditions and those they are viewing and learning about. Pre-visit background information is available in this study guide and includes Choreographer Leonide Massine biography , an introduction to basic ballet movements, dance vocabulary, and a review of theater etiquette. After viewing the performance, post activities can help students identify with characters from the ballet, music and how it relates to the movement, the story line and more. Students are exposed to high quality production values at Mendocino Ballet outreach performances. These include music, lighting, set design, costumes and special effects. Students learn that costumes, sets, lighting and choice of music are specifically selected and designed for each production. Besides the visual impact of the dancers on the stage, it takes many other artists and experts in their field to ensure a quality production. Costumers, Lighting Designers, Sound Technicians, music Composers, Musicians, Choreographers as well as the backstage help all work together to present a professional production. While most pre-activities are geared towards VAPA standards, many of the post activities reach across the curriculum to help reinforce Language Arts, Social Science, History, and Science standards. Bending, stretching, jumping, and turning, are all activities dancers do; however, dancers work hard and long to transform these everyday movements into the language of dance. Ballet is distinctive from dance in that it requires a special technique, established almost 500 years ago, involving steps and body movements that are unique to this discipline. The most striking feature of the technique is the turnout of the legs from the hip. This turnout enables ballet dancers to move to either side as well as forward and back with equal ease, giving them command over a full circle of movement. The dancer’s turnout from the hips and strong frontal orientation of ballet staging can be traced to the European court tradition that directed the performance toward the sovereign in attendance. Classical ballet technique and steps create modern ballets in a different way. The dancers wear simple leotards and tights and may dance in bare feet or soft slippers. In ballets where there is no story to follow, the audience’s attention is drawn toward the shape and speed of the dancers’ movements to the music. Some modern choreographers don’t even use music; others may use song or speech to accompany their steps. Alvin Ailey, Twyla Tharp, and William Forsythe are modern choreographers who have used these methods. Ethnic/Traditional: Any dance form developed by a particular culture, like African, Spanish, Russian, Chinese, Cuban, Hawaiian, etc. Jazz: The truly American dance form. Originated in America, this form combines elements of African, modern, and ballet. Modern: A dance form that originated around the turn of the century in both Europe and America. Isadora Duncan, known as the “mother of modern dance,” began dancing barefoot and without the traditional ballet costumes as a rebellion against the constraints of ballet. Modern dance is based on the feet being parallel from the hips, rather than turned out as they are in ballet. Social: Any dance form that people enjoy when they are gathered together. Ballroom dancing, street dancing, and folk dancing fit into this category. Tap: Another distinctly American dance form, tap combines elements of jazz dance and borrows from the Irish jig, African tribal dance, and Dutch clogging. · Is it a fairy tale? Why? · Which character did you like the best? Why? · Select a character and say what the character represented in the ballet. · What feelings did you have when the prize dolls were to be separated? Why? · Was one scene/dance particularly funny to you? Why? · Was it difficult to follow the story line? Why? · Have each child draw one of the characters (dolls) from the ballet, and tell the group why he/she picked that character. · If your family is originally from outside of the United States, are there any traditional tales or moral lessons passed down through stories told to children that you could share with your classmates? · Students write a story about a doll. Ask them to write about the history, places and dress of the doll or character. · Illustrate a scene from the ballet. · Working in groups, act out a part of the story with movement only-no voices. · Closure: Ask students to share their stories with the class. Let the students take the stories home and share them with their parents. · Discuss some of the characters/dolls from the toyshop. · Describe how they move, focusing on the use of adjectives. List the descriptions on the board. Try to move in the same way. · Each child is to transform themselves into a doll from the story and create a movement sentence as that animal. Begin with a still shape representing the doll before the magic happens and it comes to life, adding 8 traveling motions (walk, skip, twist, turn, crawl, slither, etc.) and adding an ending shape (arriving “home”). · Ask children which doll was their favorite to perform. Which was their favorite to watch? Which was easier to perform? Which was harder? How did tempo change effect of the doll? · Choose a piece of music for the dolls to move to. When the music is played, all the dolls come to life at the same time. When the music stops, dolls freeze in a shape. Leonid Fyodorovich Myasin (Russian: Леони́д Фёдорович Мя́син), better known in the West by the French transliteration as Léonide Massine (9 August [O.S. 28 July] 1896 – 15 March 1979), was a Russian choreographer and ballet dancer. Massine created the world's first symphonic ballet, Les Présages, and many others in the same vein. Besides his "symphonic ballets," Massine choreographed many other popular works during his long career, some of which were serious and dramatic, and others lighthearted and romantic. He created some of his most famous roles in his own comic works, among them the Can-Can Dancer in La Boutique fantasque (1919), the Hussar in Le Beau Danube (1924), and, perhaps best known of all, the Peruvian in Gaîté Parisienne(1938). Massine was born into a musical family on August 9th, 1895 in Moscow, Russia. His mother was a soprano in the Bolshoi Theater Chorus and his father played the French horn in the Bolshoi Theater Orchestra. Leonid was one of five children. In 1904, Leonid successfully auditioned for the Moscow Imperial Theater School. At only eight years old, he began his formal dance training. The next year, the director of the Bolshoi Theater, Alexander Gorsky, was looking for a small boy to play the role of Chernomor in the ballet Russlan and Ludmilla. Leonid was selected for the role. This performance and rehearsal period ignited his lifelong passion for acting. Leonid was selected for three more professional roles at the Bolshoi and Maly Theaters the 1908-1909 season. In August 1913, Massine graduated from the Moscow Imperial Theater School and almost immediately joined the Bolshoi Ballet. In December of the same year, Serge Diaghilev came to Moscow in search of a dancer for a new production of The Legend of Joseph. His lover, Vaslav Nijinsky, had originally been cast in the role, but Diaghilev had his contract terminated upon Nijinsky’s marriage to Romola de Pulszky. Diaghilev was attracted to Massine’s onstage presence and acting, and invited him to audition for the choreographer, Mikhail Fokine. After the audition in St. Petersburg, Massine joined Diaghilev and his Ballets Russes. From 1915 to 1921 he was the principal choreographer of Sergei Diaghilev's Ballets Russes. In 1933, Massine created the world's first symphonic ballet, Les Présages, using Tchaikovsky's Symphony No. 5. This caused a furor amongst musical purists, who objected to a serious symphonic work being used as the basis of a ballet. Undeterred, Massine continued work on Choreartium, set to Brahms' Fourth Symphony, which had its premiere on 24 October 1933 at the Alhambra Theatre in London. He also choreographed a ballet to Hector Berlioz's 1830 Symphonie Fantastique and danced the role of The Young Musician with Tamara Toumanova as The Beloved at its premiere at Covent Garden, London, on 24 July 1936 with Colonel Wassily de Basil's Ballet Russe de Monte Carlo. The new Ballet Russe de Monte Carlo debuted in 1938; Massine choreographed Gaîté Parisienne, set to music by Jacques Offenbach, which premiered on April 5 at the Théâtre de Monte Carlo. Gaîté Parisienne was one of Massine's most celebrated works during this time. Instead of a whole, singluar composition for the score, Offenbach created a series of divertissements. This allowed Massine to use a wide variety in terms of number of dancers and speed, all while conveying a single narrative. Massine revived the piece for American Ballet Theater in 1970. Lorca Massine and Susanna della Pietra completed an additional revival for ABT in 1988. In this production, the costumes were designed by Christian Lacroix, who created animated and eccentric costumes that were based on his own 1987 collection. In 1977 Massine moved to the San Francisco/Bay Area to begin a series of choreographic workshops, as well as revive his work Le Beau Denube for the Marin Ballet. At the same time, Massine was working on plans for Parisina, which was to be performed by Natalia Makarova. However, Makarova began to suspect her part was originated on another dancer and pulled out of the project. Instead, Massine was appointed resident choreographer of the Marin Ballet. He began work on a new production of The Nutcracker, which was never seen outside the studio. He died on 15 March 1979 in Borken, West Germany.